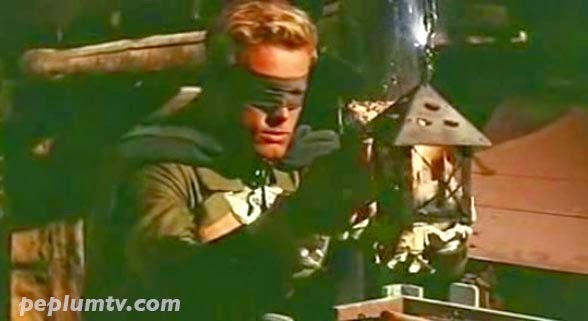 The unlikelihood of having a blond Zorro is fairly high but that didn't stop filmmakers in making movies with such a hero. 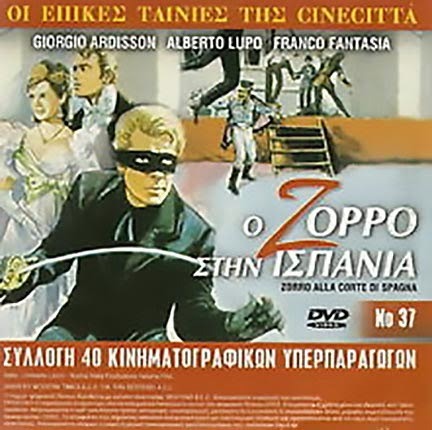 Above is the Greek DVD art for ZORRO IN THE COURT OF SPAIN starring a very blonde George Ardisson. How couldn't they figure who Zorro was. Ah! Sean Flynn in SIGN OF ZORRO. No other character in the film is blond so it should be easy to guess who Zorro is. 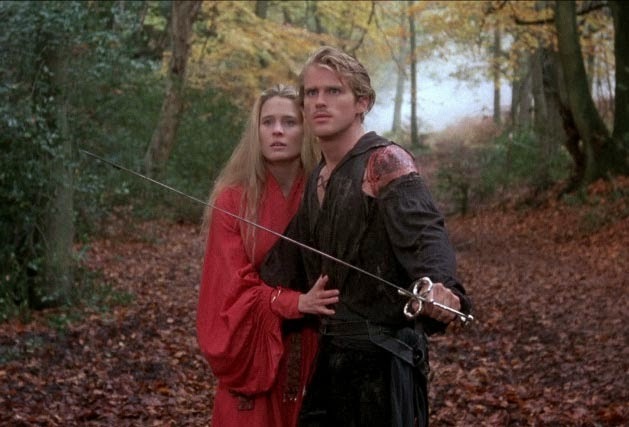 Cary Elwes in THE PRINCESS BRIDE. Though not officially Zorro he plays a Zorro-type. 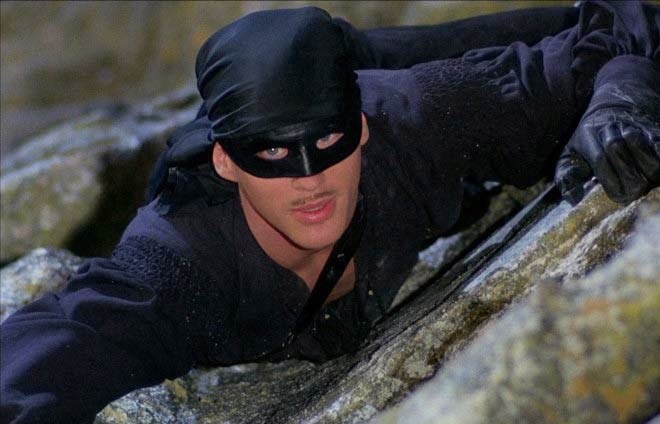 Fortunately filmmakers realized how easy it would be to spot a blond Zorro so they had him wear a bandana. Cary without bandana (with Robin Wright).